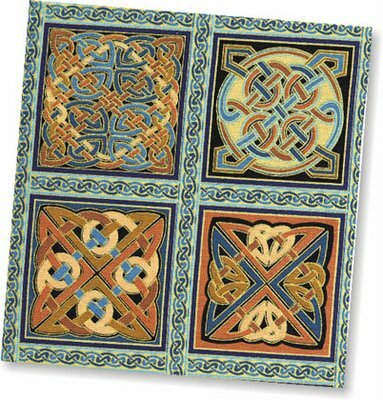 We featured intricate designs featuring Celtic knotwork back in 2006 and they were very popular. 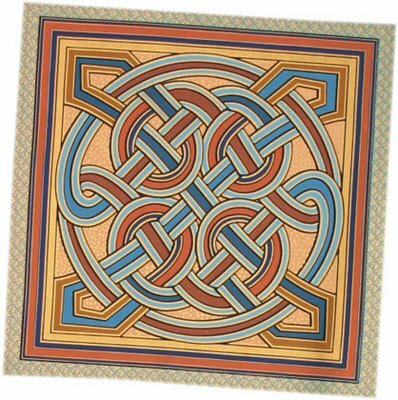 The current range of Celtic designs contrasts teal blues with warm, rich earthy tones, and highlighted with gold. Above is one of two designs from the cushion panel strip. There is a cushion panel, a mini strip and four coordinating fabrics. Celtic illustration is a favourite of mine and I have always admired the work of Jim Fitzpatrick and the Celtic inspired works of Lloyd Alexander were a favourite when I was younger. 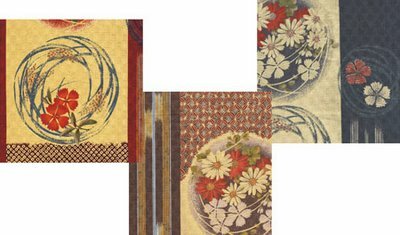 Daiwabo have produced a stunning range of Japanese fabrics with exquisite texture, detail and design. These are beuatiful fabrics and are available as a range of fat quarter packs or by the metre at £15.40 per metre. We have supplied Schmetz Sewing Machine Needles for some time and last year successfully trialled the Quilting Needle Pack from Organ. We have now extended our range to include a variety of different Organ Sewing Machine Needles packs. 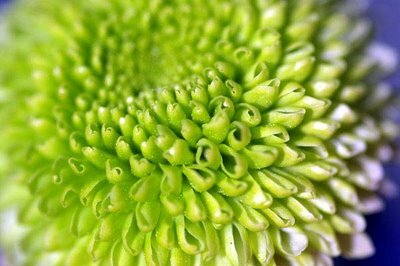 There are specialist needles for Jeans, Embroidery, Metallic Thread and Embroidery, as well as Quilting. We also have some Titanium Sewing Machine Needles for extra wear resistance. There are a number of Universal Sewing Machine Needle Packs with 5 needles. The Specialist Needles are available at £2.50 per pack of five whilst the Universal Needles are £1.50 for a pack of five. We also have available value packs of Universal Needles with 100 Needles for the great price of £22.95. Three new Strip Rolls from Fabric Freedom, £17.95. There are 50 Indian Batik Fabrics cut to approximately 2 1/2" by 43" fabrics on each roll. All three rolls are also available as a Summer Offer for £50. We also have five new Homespun Fat Quarter Bundles, £11.95. 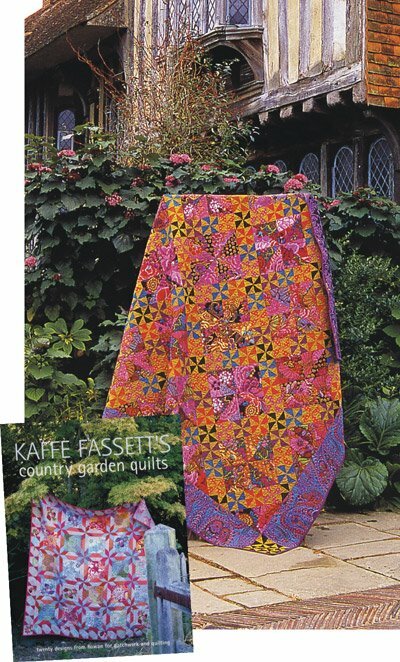 Each bundle contains 8 different homespuns cut as fat quarter yards, 45cm x 55cm (18" x 22"). The bundles have some beautiful really subtle colours. There is also a Summer Offer on these Bundles. It is summer out there, but with all the rain around it can be hard to tell sometimes. Now that the excitment of Wimbledon is over we have some Summer Offers to keep you occupied. 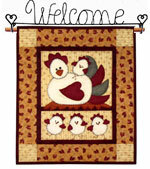 There are a range of Offers from DVD's, fabrics and notions and I will be adding some more over the next week.